This photograph was taken in front of 60 Heaton Road, the last shop north of the railway line as you walk towards Shields Road, the shop that is now Heaton General Store. 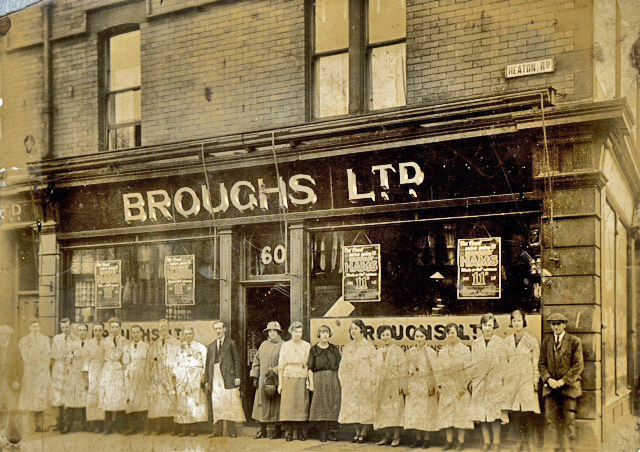 We don’t yet know the identity of anyone in the photograph but it was taken in or after April 1923, when the Heaton Road branch of the already well-established Brough’s grocery chain opened. The photograph is published here by kind permission of Newcastle City Library. The first Brough to enter the grocery business seeems to have been Edward Brough, who was born on 11 May 1846 in what is now Canada. He was the son of Thomas and Mary Brough, who both came from County Durham. Thomas was an engine wright in the mining industry who, in 1839, was recruited by the famous overseer John Buddle to work for the General Mining Association which, at that time, was beginning to explore the coal reserves in Sydney Mines, Breton Island, Nova Scotia. Mining and engineering expertise from the north east was in great demand at this time and Thomas was just one of the many mining engineers who travelled to far-flung parts of the world. Letters are held by Durham Record Office which give details of Thomas’s contract (He was to have a house and a fire and ‘pit flannels’ on top of his salary) and also reveal the arrangements for the Brough family’s arduous journey to Canada. There was consternation that there would be no ships from Newcastle for several months and so it was decided that the family should travel by rail to Carlisle (Bear in mind that the railway had only opened the previous year so even this leg of the journey would have been quite an adventure), continue by steamer to Liverpool and then make the long journey across the Atlantic by ship to Nova Scotia. It was noted by Buddle that Thomas and Mary had three young children aged 7, 5, 3 and 4 months who would also have to make the journey, one which many parents would approach with trepidation even now. A further letter confirmed their arrival in Halifax, Nova Scotia. It appears that the family spent about 10 years in North America. This was in the days of British rule, before the formation of Canada or indeed the American Civil War. The 1851 UK census, however, shows them back in the north east, with two younger children, Mary Ann, 7, and Edward, 4, having been born at Sydney Mines. 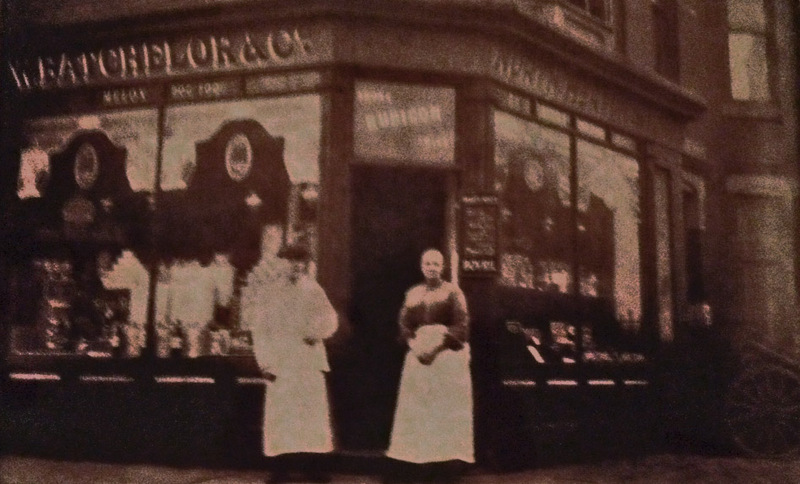 At the age of 20, Edward entered the service of a provisions dealer, Edward R Hume and Co. By 1871, he was married to Newcastle girl, Mary Dent and in 1876 he set up a wholesale business, with a friend, John Richardson Frazer. The firm, Frazer and Brough, mainly imported eggs and butter from Denmark. Edward spoke Danish fluently. In 1888, Edward set up independently and introduced his 17 year old son Joseph to the wholesale business. It was Joseph, however, who first made the move into retail. He left his father’s firm in 1894 and at the turn of the century, Edward sold his own wholesaling business to join his son’s rapidly expanding company. 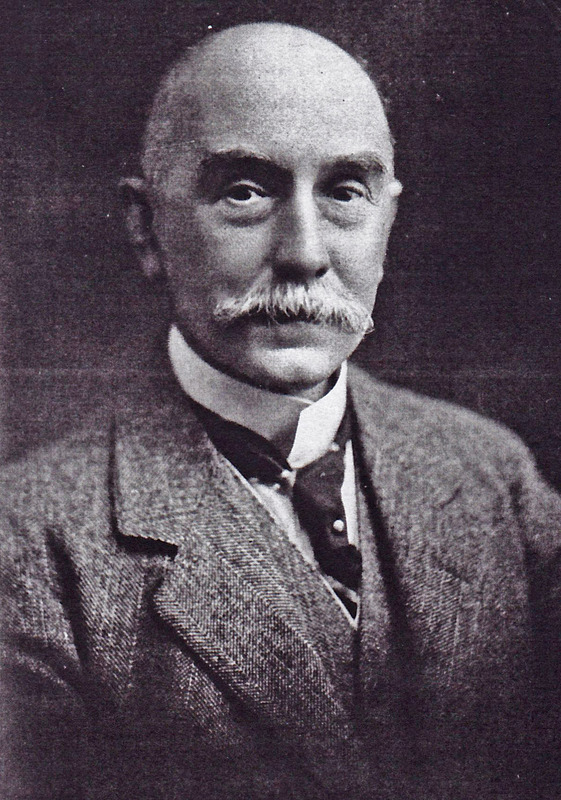 Joseph Brough’s business model was to lower the price of goods to customers by getting them to buying in bulk and enable him to cut out the middleman. Brough’s ‘didn’t deal in pennyworths but sold the customers whole hams, rolled shoulders of bacon and flour, sugar, rice, oatmeal, split peas, lentils in stones or half stones, jams in 7lb jars and so on, recalled Herbert Ellis, a former employee. The shops didn’t have inviting window displays and the interiors were functional rather than attractive places to shop but many of the branches were in colliery towns where the customers placed greater value on the lower prices. 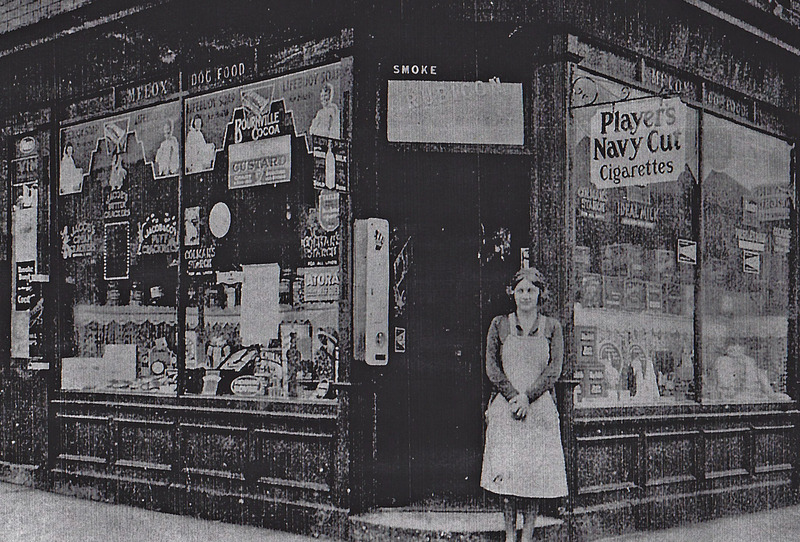 The first Heaton shop opened in 1908, not on Heaton Road but round the corner in North View and was bought as a going concern from another Edward Brough, Edward Hudson Brough, a cousin of Joseph. In c1917, by which time it had 500 employees in branches as far afield as South Yorkshire, Joseph sold the firm to Meadow Dairy Company, which, although it had originated in Newcastle, was by now a national chain. The Brough name was retained, however, and it contained to expand even trying its business model, spectacularly unsuccessfully, in London. A number of changes were introduced: there was less emphasis on buying in bulk and more on deliveries at a time and in quantities to suit the customer. The Meadow Dairy Company later became associated with the Home and Colonial Stores, which some readers may remember. The firm continued employing ‘travellers’ to call on households and take orders for delivery later. Heaton History Group Honorary President, Alan Morgan, still has a receipt kept by his mother in 1960. Amongst other things, she had bought half a pound of Danish butter (1s 6d), a quarter pound of Typhoo tea (1s 7d) and two pounds of caster sugar (1s 9d). In ‘new’ money that comes to about 24p! In the 1950s, the company was a pioneer of the self-service model, with the New Bridge Street store apparently being the first in Newcastle. A Sandyford resident who worked there recalls ‘I started as a Saturday girl handing out the baskets.’ [For which she was paid 4s (20p) a Saturday]. ‘I think they had just opened. I started full time the day after I left school, that must have been in 1955. I was also their first floor walker after I saw a woman stealing’ (The woman was caught and the brand new assistant instantly promoted). She could also remember the amazement of new customers seeing this new way of shopping for the first time, many of whom just stopped and stared. Edward lived a long life. He had wide business interests in addition to grocery. He was chairman of the General Bill Posting Co Ltd, Dunford Steamship Co Ltd and James Scott and Son (1926) Ltd and a trustee and board member of Newcastle Savings Bank. He was also a magistrate and a noted philanthropist, who was especially involved in the Poor Children’s Holiday Association. He died in 1933 well into his nineties. Joseph died in 1958. He too was a philanthropist. He presented the Poor Children’s Holiday Association with a house in Whickham which became the Edith Brough Children’s Home and in 1940 he set aside £25,000 to provide for employees in the case of illness or hardship. The charitable trust still exists with an expanded remit. The Heaton shop was still trading in 1973, after around 48 years. But what preceded Brough’s? This part of Heaton Road was built in the late 1890s and number 60 seems to have been a shop from the very beginning. The trade directories of the time refer to it as ‘Crofton’s Stores – Grocery, Italian Warehousemen and Wine and Spirits Merchants’. The term ‘Italian Warehousemen’ isn’t one we use today but in the nineteenth century, it was a common term for a specialist grocery shop that stocked items such as: oils, pickles, fruits and pasta. We’d probably call it a ‘posh deli’! Crofton’s was by this time a small chain. The first shop in Blackett Street was opened by Zechariah Crofton, a Morpeth man. Crofton died in 1866 but the business he created continued to expand. By 1898, it was owned by Robert Owen Blayney, the son of Arthur Blayney, a Welsh grocer who as early as 1841 had himself employed 9 men. Robert died in 1921 by which time the business had passed to his son, Robert Geoffrey Blayney but before then 60 Heaton Road has been sold to another local chain the London and Newcastle Supply Stores, the head office of which was in Grainger Street and which had a number of branches in the north east. 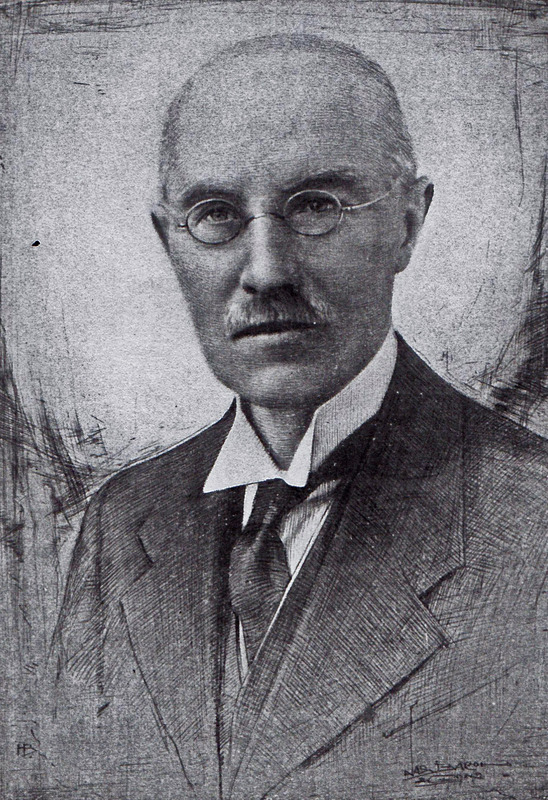 The first of a succession of managers, from 1900 – 1901, was Henry Richard Jones, later described as ‘swimming instructor and tea dealer’ who was born in Bellary, India and went on to own the grocer’s shop at 101 Addycombe Terrace. We’re not sure who owned the shop between 1973 and 2003 when Heaton Village Store, the latest business to operate from 60 Heaton Road, opened its doors. The business, while not yet quite as long-lasting as Brough’s, is already a very respectable eleven years old, a worthy successor to 60 Heaton Road’s long line of groceries going back some 115 years. We’d love to hear any memories of Brough’s and find out what came between Brough’s closing around 1973 and Heaton Village Store opening some 30 years later. And can anyone remember 60 Heaton Road before it was self-service? Caroline Stringer with additional research by Chris Jackson. Resources consulted include: Dictionary of Business Biography, Brough’s Limited: the story of a business by H G Ellis, 1952 Ward’s and other trades directories, Newcastle Roll of Citizens (all held by Newcastle City Library). This entry was posted in Research and tagged Brough's, grocer, Heaton Road, Henry Richard Jones, Home and Colonial Stores, Italian Warehousemen, John Buddle, Meadow Dairy Company, mining, North View, shops on March 13, 2014 by oldheaton.